Sending your Child to Boarding School - A Rose Is A Rose Is A Rose! No matter how young your child is now, at some point you’ll need to start thinking about their formal education. For some of us, this means asking ourselves one crucial question: should I send my child to boarding school? While there are many great sources for online parenting tips on child development and schools (especially if your children are younger) the question of boarding school in particular is worth a closer look. So what are the pros and cons of sending your child to boarding school? Are the stereotypes really true? Is it worth the cost? 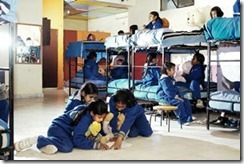 Excellent academic education: One of the main reasons parents opt for boarding school is the academic reputation of these schools. With dedicated teachers and an optimal teacher-student ratio, your child will be able to intellectually thrive in an encouraging environment. Attending one of these schools may increase your child’s chances of entering a prestigious university. Wealth of extracurricular activities: At the same time, if your child is inclined towards athletics, the arts, community volunteering, or other non-academic activities, boarding schools often boast fantastic resources where students can explore these interests. This may include extensive playing fields and athletic spaces, art studios, orchestras, choirs, or connections to professional organizations. Independence and confidence: Your child could become much more independent at boarding school, without the immediate presence of his or her parents. In some ways, your child may grow up faster, leading to increased confidence for university and beyond. Networking and reputation: And yet, your child will also form long-lasting friendships at boarding school, which can extend into their careers. The strong alumni community and good reputation of top boarding schools could prove to be a boost for your children as they build their professional lives. Less time with your child: If you’re a parent who savours every moment you spend with your child, boarding school may be difficult for you, because you will naturally have less time with them. However, it may mean that the time you do spend together will be even more meaningful, and your relationship may become more positive as a result. Conformity may be challenging for your child: Some children do not respond well to a strict environment, as it confines their unique view of the world. A child like this may suffer at first at boarding school, which often stresses conformity. If this is the case, try to find a boarding school which caters to your child’s interests (the arts, for example), and remember: any school (boarding or not) will have some element of conformity to it. There are also plenty of parenting tips available to help you choose an appropriate school. A different social world: Boarding school students may come from a more privileged socioeconomic world than your child is used to. This may be daunting for your child, or may create a sense of envy for him or her. This isn’t any different from the adult world, though, and your child will be learning early on how to behave and succeed among people from different backgrounds. These parenting tips should give you some food for thought when considering whether or not to send your child to boarding school. Whatever you choose, you want to give your children the best possible education, to prepare them for success and happiness in the future. I know, this is heard very often and for this reason children get negative impression about a boarding school. Actually most parents also believe that a boarding school is for brats! That’s such a balanced post Shilpa. Agree with all those pros and cons. I’d miss them like crazy I think, if I were to send them away and worry myself sick. So keeping them with me is more about me than them :-). As for kids, they adjust pretty much anywhere and that point about independence – that’s so so valid. I know what you mean, Tulika. Even after 3 years, I still miss Aaryan and worry about him too and some days are terribly difficult. Fact that he loves it there, is doing well makes us glad of the choice we made! Absolutely, kids adapt pretty fast. Last year, I had some time on my hands, so I was sitting and watching kids of class 3 and 4 playing in the ground at school, seeing such young kids in a boarding, I cried a bucket of tears that day, but they were so happy and playing with gay abandon. It is a fact Shilpa, that children who have studied in boarding schools, have more self confidence and cultivate habits like punctuality, determination and bravery. You must have noticed these qualities building up in Aryan. It looks like a boarding school has more pros than cons. Definitely students are better groomed here, but the distance and seperation is the difficult part in the whole process. I agree. Boarding schools tend to get a bad name because it is immediately implied that the kid was ‘sent away’ and the parents did not care. The truth is they do have a lot of positives in developing the child at a social level too. That ‘sent away’ feeling comes in when the perception about a boarding school is different in that home. Most consider it to ‘reform’ their naughty kids or as a kind of punishment threat and thus the child may carry the feeling of resentment all his life, which is just not right! Nice and interesting post. I know there are lot of pros in sending our kids to a boarding school. But, personally, we will not go that route. We will miss our children and they will miss us – that daily bonding when they are innocent children. To us (me and my wife) that is more important. I may be wrong. I feel that “affection” from a child to his/her parents, when they become adults, will not be there. They will always feel that their parents sent them away. It is better to get the child’s input also before deciding whether to send him/her to a boarding school or not. My two cents worth. It is a tough decision, no doubt about it! Well, they come to a decision after weighing all the pros and cons, after deciding what is good for the child. You balanced both the sides and presented it appropriately….a useful post for parents…. As a parent who sent both my children to boarding school right from the first standard, besides the trauma and wrenching at that time, I can only feel satisfied, immensely, that the two have been well bred.To parents who “cast away” their kids to boarding, beware they will rue . hmm.. both the pros and cons are interesting. As a child, I always thought boarding school was something exotic and out of reach!! heh! I think there are pros and cons to both boarding and day schools. I’m glad I went to a day school and stayed home and I’m glad my children went to day schools and stayed home too. We would’ve missed them too much and they us. I don’t think any choice is right or wrong. Both work in their own way. For all those who can afford prohibitive costs,should send their children to boarding . Considering the mess which is in schools in Bangalore,boarding could be just as bad.But ,to that extent one has to trust the children and give them right values of life. I know what you mean. There is no guarantee anywhere and I won’t pretend that this decision of ours will ensure the outcomes we would love to see for our child. But it is a choice we made, nevertheless! If you can afford it, I think it makes for a great experience for your child. 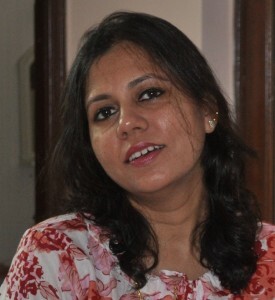 This is an informative post for a parenting site too shilpa. Especially for those who have their doubts about boarding school. Ideally, i think it would be an enriching experience for any child to be a boarder. The information you have provided is valuable and I want to give you a huge thumbs up for it. And yeah most of the boarding schools possess excellent infrastructure for all sports are encouraged to participate in at least one sport. This serves to give confidence among kids and to assist them to be physically fit.Children who get involved in inter-school tournaments may interact with children from different schools and fosters a sense of friendship.